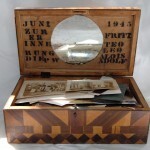 This is a wooden box with exquisite detail of inlay wood made for Aunt Mary Lou Larcom by a WWII POW named Adolf Schmidt, who came from Hamburg, Germany. 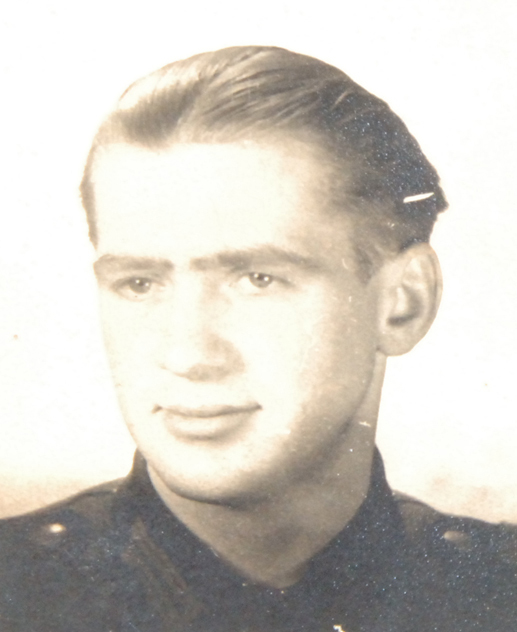 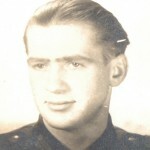 He was a POW at MacDill Air Force Base in 1945, and became friends with my great-grandfather, Theodore Larcom, while he was working there. 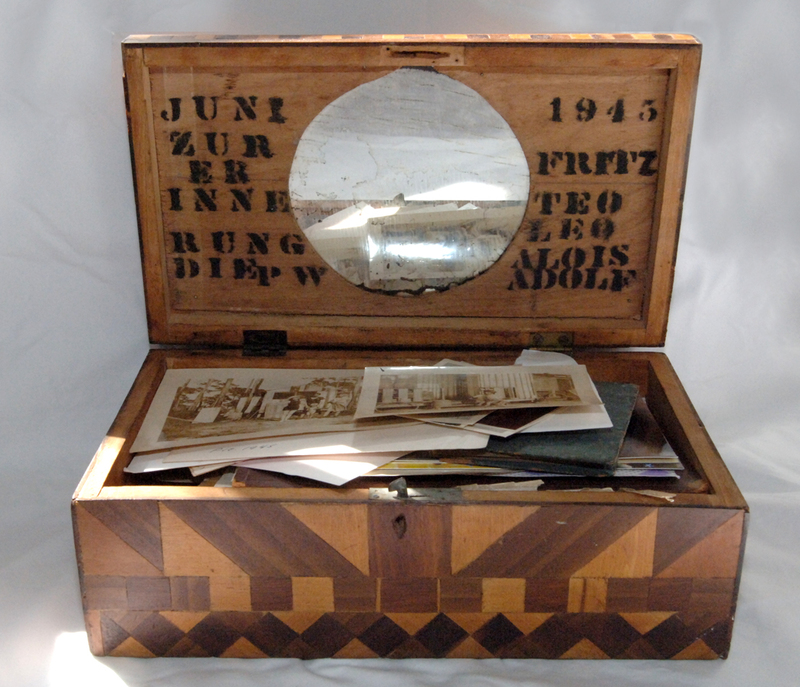 Adolf made this box for her because he said that every little girl should have a box with a mirror. 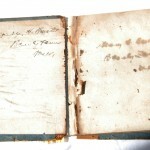 I am lucky to have Adolf’s photograph and a letter as well. 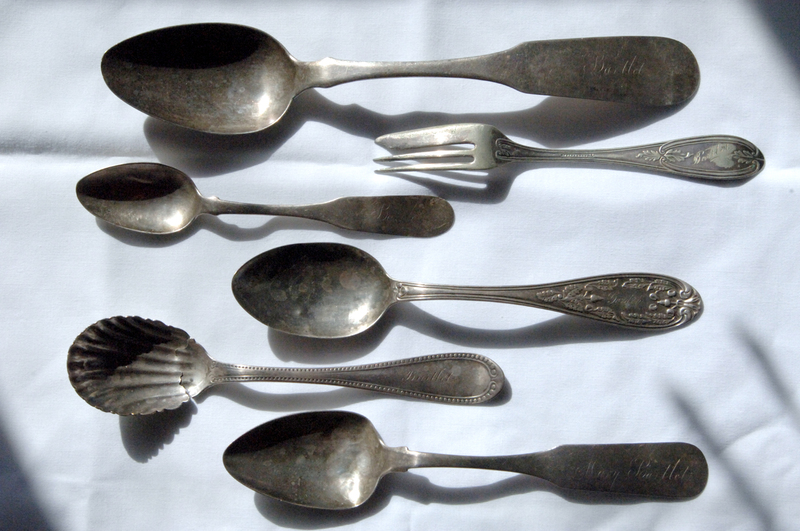 These spoons are part of the same collection as above – they all arrived together – handed down to me from my great Aunt Mary Lou Larcom. 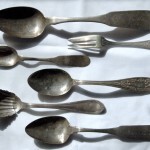 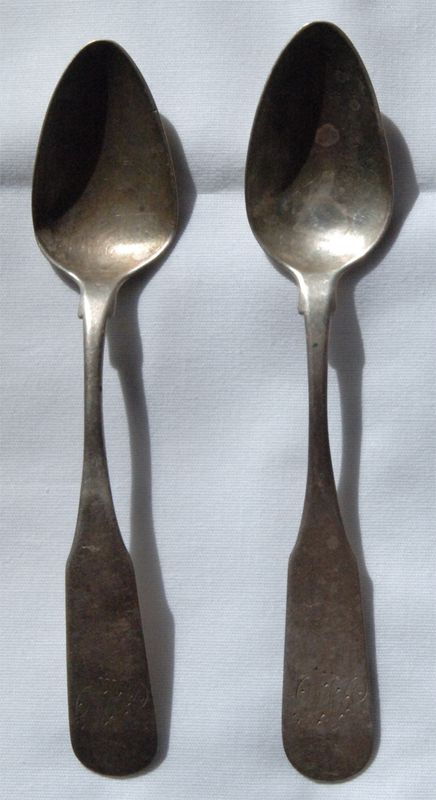 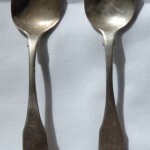 However, it is speculation on my part that these spoons belonged to the Wyatt family, as they are inscribed with a monogram “W” at the bottom of each spoon. 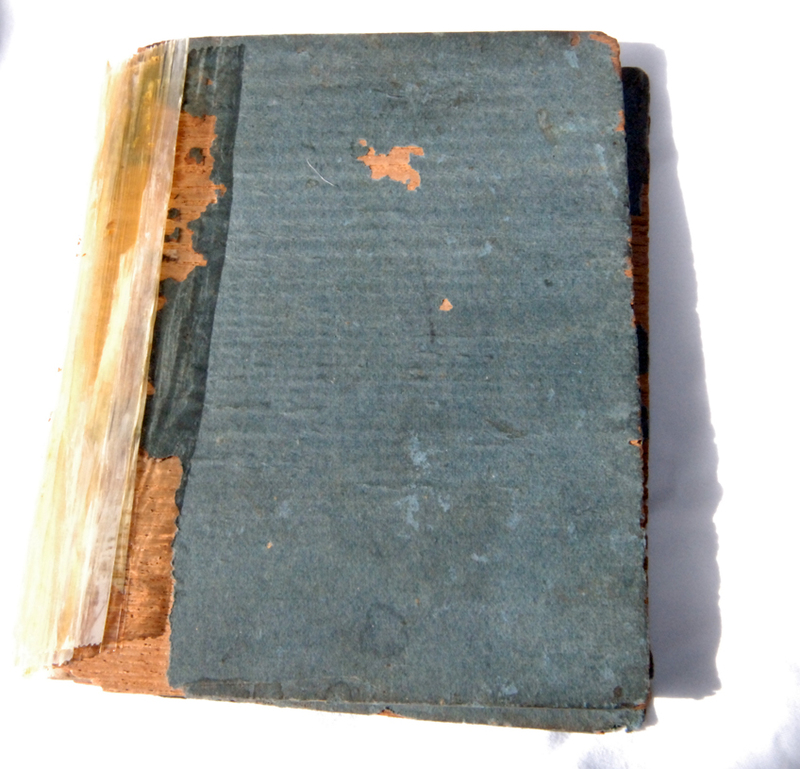 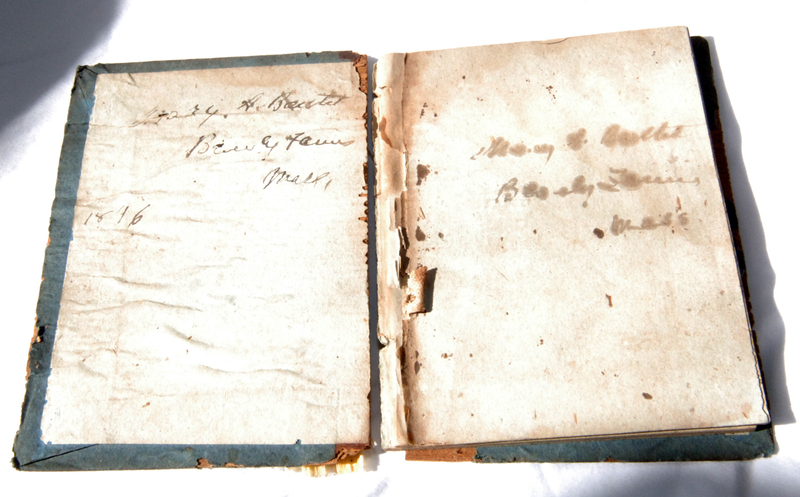 This is an old book that belonged to my 3rd great-grandmother Mary Eliza Andrews Bartlett – inscribed, “Mary A. Bartlett, Beverly Farms, 1896”. 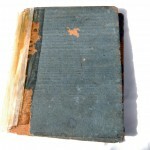 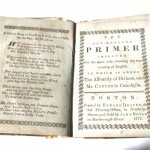 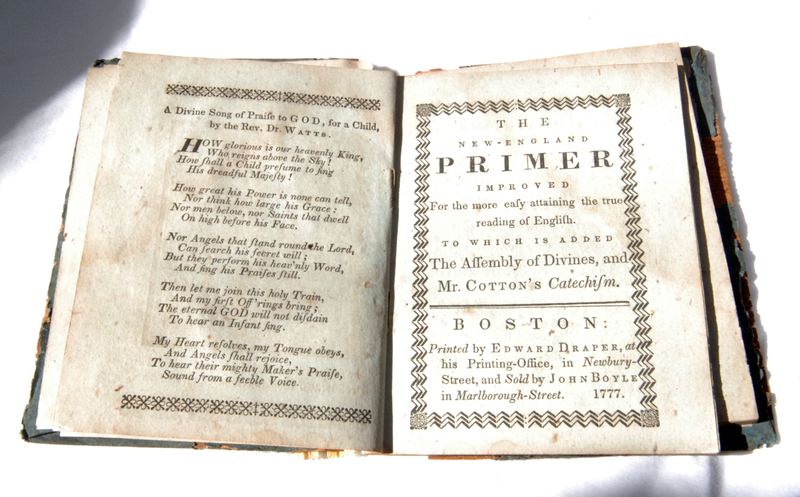 It says that it was printed in 1777.